If your mind was a cell phone, who would most of your texts go to? Would your browsing history reveal endless searches into the Google abyss? Whose picture would be on your home screen? To whom would your calls go when you need help most? Remembering to give our worries and concerns to God throughout the day is often harder than it seems. 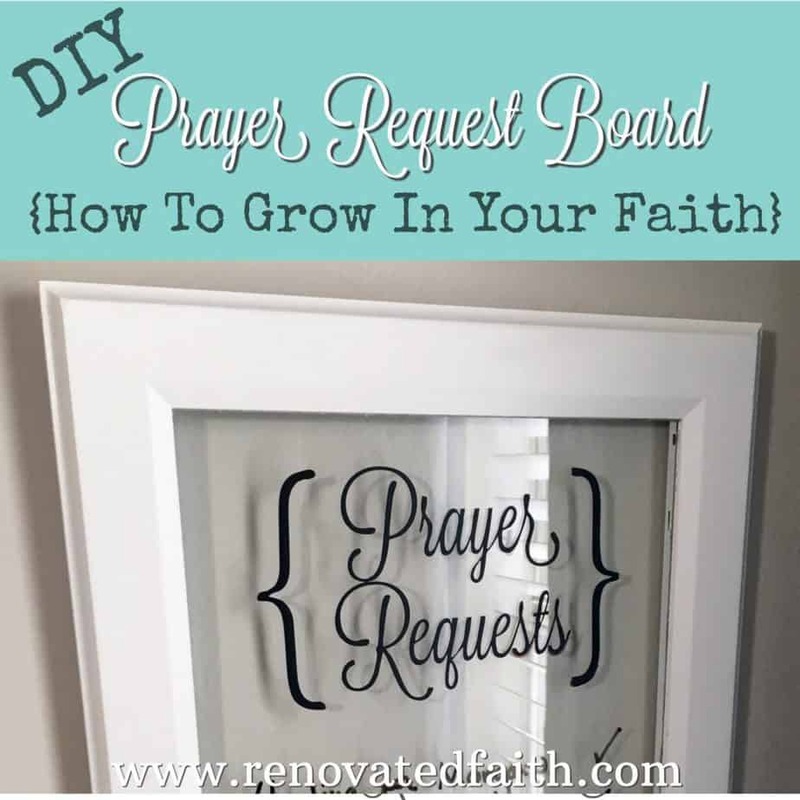 I created this DIY Prayer Request Board to remind me of God’s faithfulness to answer any prayer I bring Him. At times, I find myself asking others for help or searching for solutions to life’s problems on the internet. However, the God of all answers is only a prayer away. All too easily, my mind defaults to the tangible instead of the eternal. Trying to solve life’s problems on my own is like trying to do endless google searches without internet access. As I mentioned in Why Developing A Habit of Prayer Is Easier Than You Think, your efforts will become fruitless, exhausting and destructive if you aren’t communicating with Him. Sometimes the focus of our mental “home screen” can be life’s circumstances instead of our Heavenly Father. Think about your soul for a minute. If your soul was in the shape of a circle that rotated around a fixed point, what would be in the center of yours? Would it be God or would it be your own circumstances? Our answer to that question affects how we perceive the world around us, relate to others and all of our decision-making. You can’t have a strong relationship with someone if you don’t communicate with them. In the same way, you cannot have a healthy soul without a consistent prayer life. 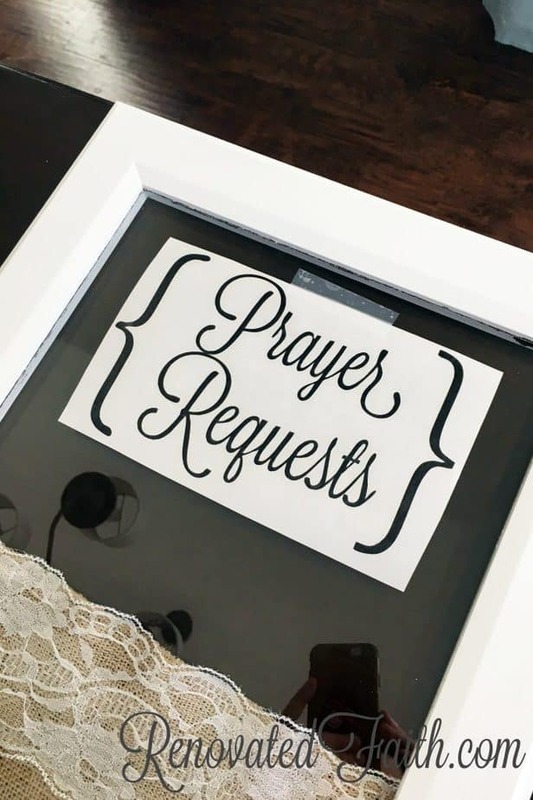 I created a Prayer Request Board, because I needed a reminder in my home to keep God at the center of my heart. It reminds me to pray as the items on the list are things that should be at the forefront of my mind. I check off items as God answers them which helps me to remember that He is faithful and DOES answer prayer – maybe not in the matter I expected but always centered on His Best, and therefore, my best. 1. Find a door or window. I used an old cabinet door from my daughter’s desk in How To Paint Laminate Furniture. 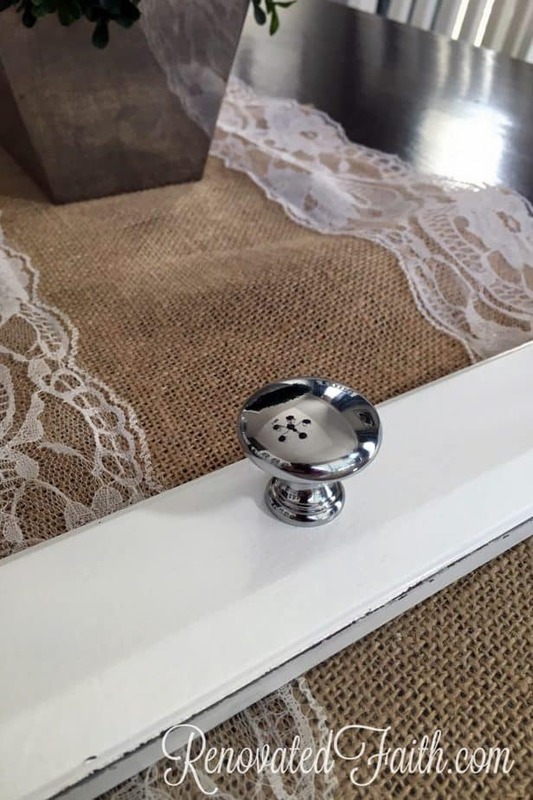 You can just as easily use an old picture frame or window. A great place to find these is your local Habitat for Humanity Restore (Find one HERE!). They are full of fabulous treasures for crafts like this one. Don’t forget to add your picture hanger before you paint! 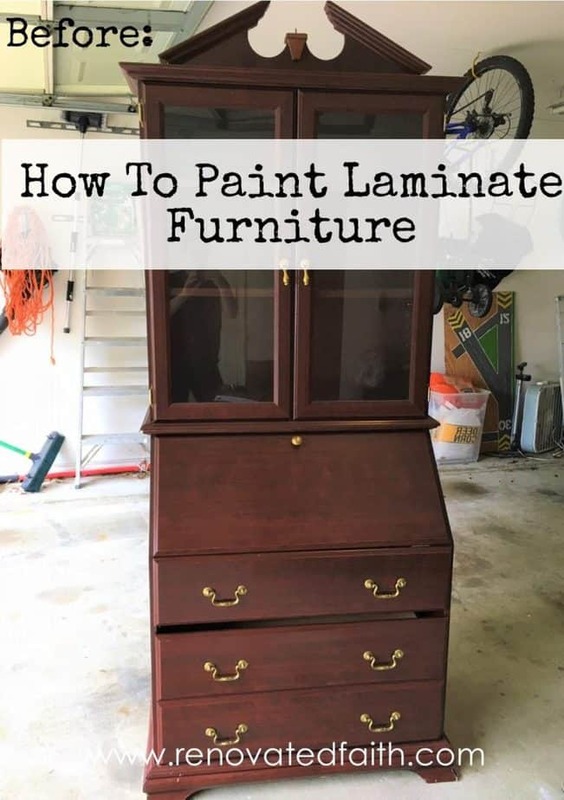 How To Paint Laminate Furniture. Click HERE to see how it turned out. I painted mine when I was going to reattach it to Morgan’s desk but later decided not to. It had several scuff marks from it’s time in the garage, which I removed with a Magic Eraser and then finished cleaning it up. I had gotten paint on the glass, so I used the Goof Off Graffiti remover. It just wiped right off and it is non-toxic! Last year, I discovered this amazing product when Morgan tried to paint the driveway…and a tree. PAINTING TIP: When painting glass doors, use blue painters tape on the inside edges of the glass. Next, leave the tape on while it’s drying and score the edge with a putty knife when dry. Pull up the painter’s tape carefully. There will probably be some paint that seeped under the tape. 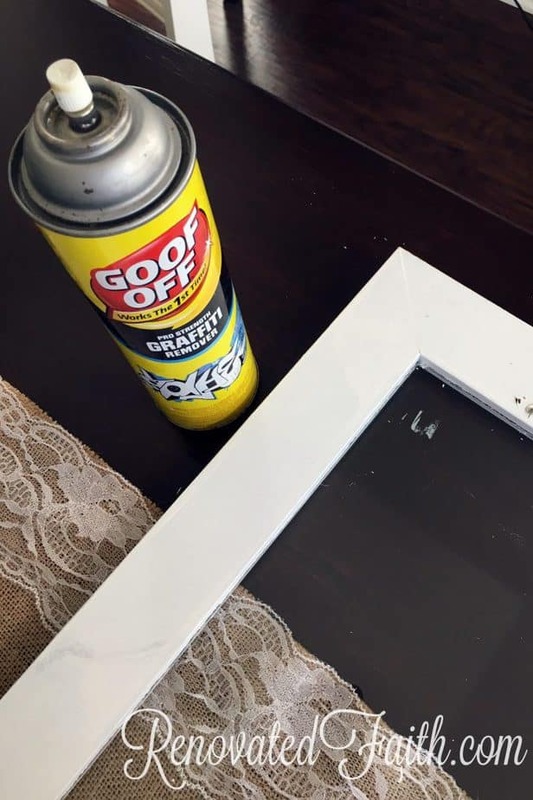 Use the putty knife and your Goof Off Graffiti remover to remove the rest, being careful to not get the paint remover on the frame. I actually had this knob on hand from the DIY Media Center. I really like the look of the chrome with the glass. For glass, vinyl can’t be beat! I can’t imagine trying to paint something so detailed on glass and expecting it not to come off. I lined up the vinyl, taped the top and pulled off the first layer of backing. Then, I very carefully laid the sticky side down. Next I went over the wording with a credit card before peeling up the top layer. The matte vinyl I used has a more “painted-on” look. I get all my vinyl from my friend Jennifer at And Sew On. I have had some bad experiences on Etsy with cheap vinyl but her’s is high quality stuff – no air bubbles and it doesn’t lift when you are trying to take the top paper off. 5. 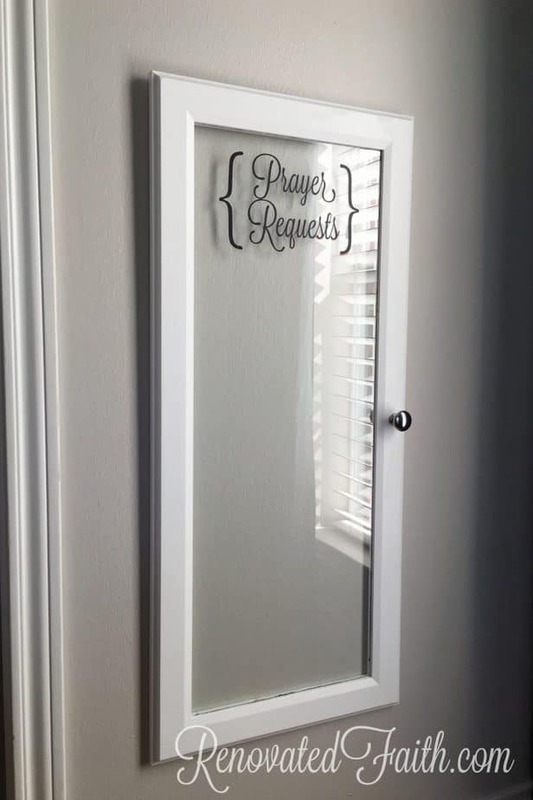 Find perfect place to hang your prayer board! You can hang it in a prominent place in your home as a reminder for your whole family. 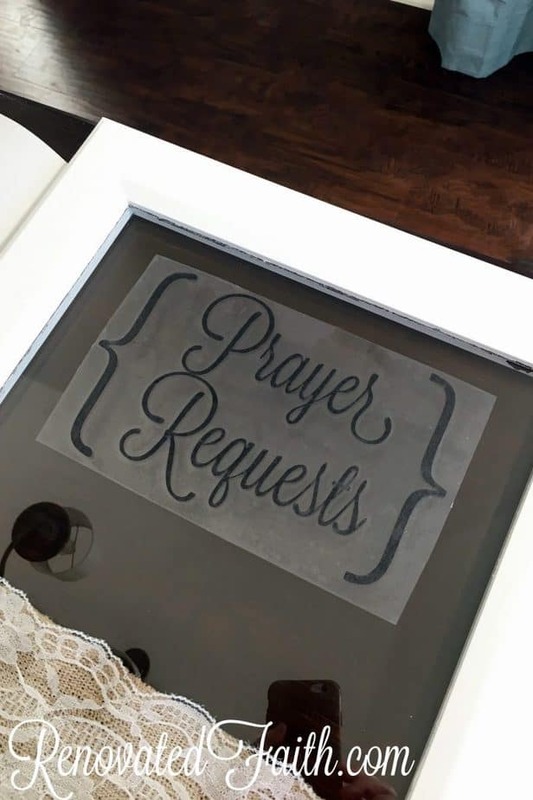 Another option is to hang it in the same room you do your prayer/study time. In the interest of full disclosure, the prayer requests on the board in the picture are more generalized than what I actually have on my board in our guest room now. 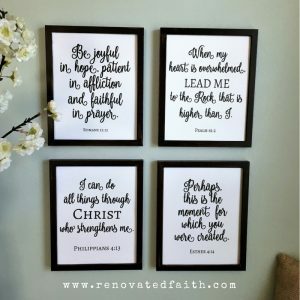 Since I moved it to my guest room, I add things that I struggle with more like seeking God’s approval instead of others’ approval or not going to food for comfort. I do my study time in our guest bed room so I look up and those prayer requests are right in front of me! I’m thinking of using the other cabinet door to make a second one to put in our kitchen as a more-family oriented one, since I kind of took over the first one. So what do you do when you fill up your prayer request board? I’m going to continue to write prayers on the board. When God answers them, I’ll put a check by them. When I run out of space at the bottom, my plan is to record all the checked items on a page in the front of my journal entitled “Answered Prayers”. In the future, when hard times comes, I will be able to go back to this page and remember God’s faithfulness to me day in and day out. My hope and prayer for this prayer board is that it will be a tool to remind you of God’s presence and His faithfulness to answer every prayer. As I have become more intentional with my prayer life, I am reminded that God is active and involved in every single detail of our day. There is no where you can go that you are not seen and loved by Him. I think God’s fingerprints are all over the blueprints of our lives. However, if our hearts are not listening for the cadence of His sweet whispers, we get too easily distracted by the white noise of the world. May our mental homepage always be set on His Will. May we talk to Him, not only as the provider of our needs, but as a Father who can’t wait to get a call from His favorite daughter. Thank you God for being with us, in us and never leaving us alone. Once again, I LOVE this! I’m pretty sure I’d get lost on your blog and perhaps someday in the very near future I’ll look around. 🙂 Thanks for having us on there, it’s a blessing to know we are covered in prayer! Ha! I wrote that on there and then it occurred to me that you might actually see it! Thank you for your encouraging words and you guys are definitely covered in prayer for the trip. I know God has a lot in store. What an inspiring idea! 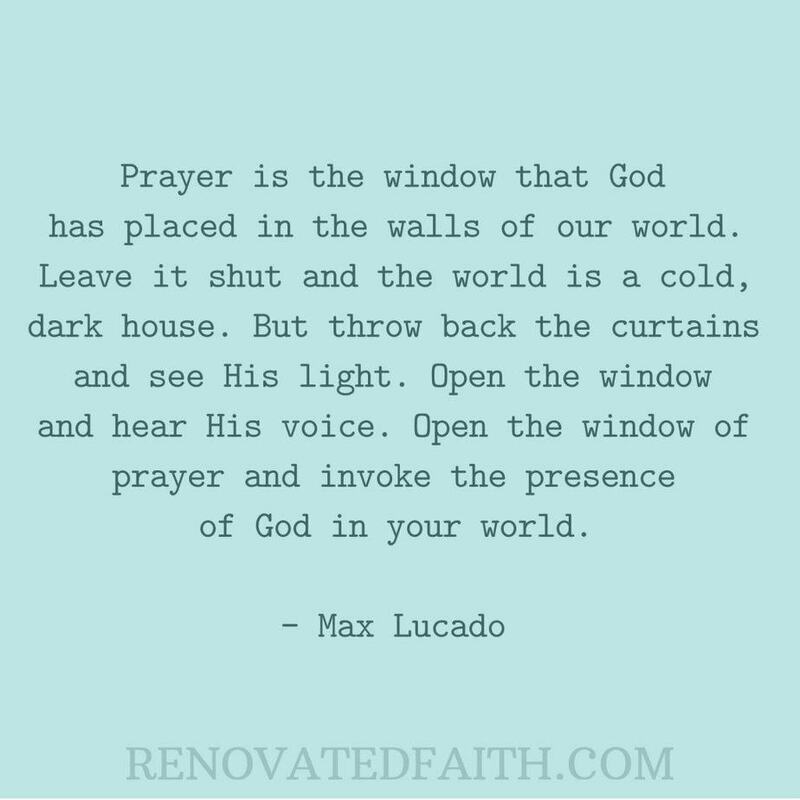 There are a few old windows sitting in my garage and a multitude of prayer requests I keep forgetting to keep at the forefront of my priorities. Thanks! This is one of those posts that I think has helped me more than anyone else! I have been much more diligent about praying for people. Thank you so much for your kind words Christa and for stopping by! Thank you so much for your encouragement! It has really helped me to be more intentional with praying for others. Glad you like it Kate! Thank you so much Naomi! I love that I was able to use something and give it new purpose. 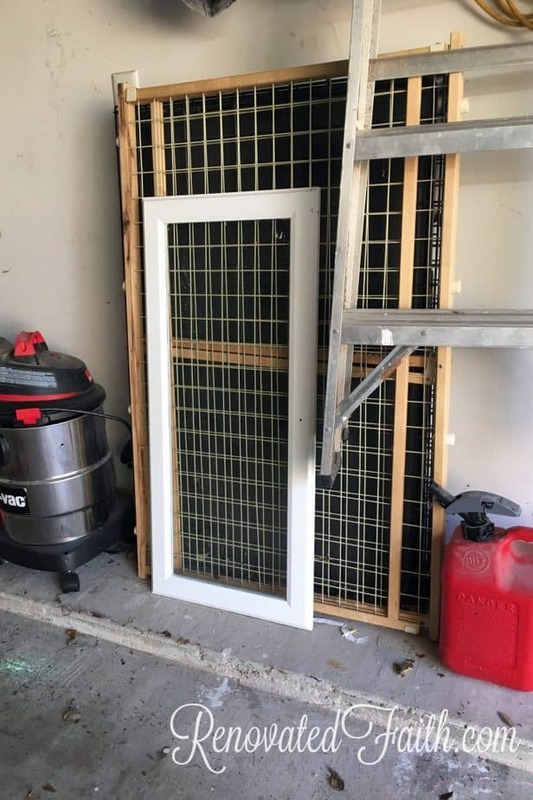 My husband especially likes the cost (or lack thereof) of this project! Thank you for stopping by!